An environmental group finds a high rate of water quality violations in Puerto Rico and calls on officials on the island and in Washington to invest in safety improvements. Problems continue to mount for the Commonwealth of Puerto Rico. To high unemployment, a lagging economy and billions in public debt, add unsafe drinking water to the island's list of woes. A new study by the Natural Resources Defense Council says nearly all of the tap water available on the island violates federal safety standards. The report says many municipal waters systems in Puerto Rico aren't tested regularly. Among those that are tested, the NRDC says it found the nation's highest rate of drinking water violations. More than 2.4 million people in the U.S. territory draw their water from systems which contain harmful bacteria or other contaminants. And almost none of the municipal water systems on the island test for lead contamination. The environmental group is calling on federal, commonwealth and local authorities to make a major investment in the island's water infrastructure and to upgrade testing for contaminants. Puerto Rico's Aqueduct and Sewer Authority is one of the many public agencies on the island struggling to provide services. It holds some $5 billion of the commonwealth's $73 billion public debt. Next week in San Juan, a federal judge will begin overseeing a hearing to restructure that debt under a special law passed by Congress. As part of the proceedings, similar to bankruptcy, U.S. District Judge Laura Taylor Swain will decide how Puerto Rico's assets will be distributed among its various classes of bondholders. 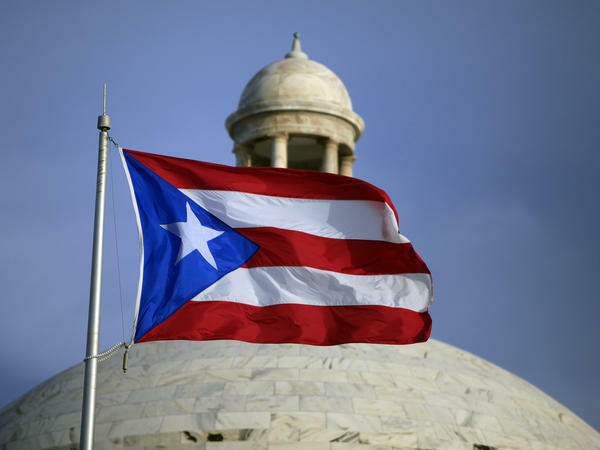 A fiscal oversight board set up by Congress has approved a spending plan submitted by Puerto Rico Gov. Ricardo Rossello that imposes severe spending cuts. As part of that plan, the island last week announced its closing 179 public schools, a move expected to save more than $7 million. Rossello's administration also wants to cut hundreds of millions of dollars from the University of Puerto Rico, a proposal that's been met by protests, faculty resignations and a student strike.